We are the dreamers, designers, developers to frame a solid, steady, strategic brand growth in order to achieve specific goals by aiming a long-term relationships with the business personas.We may not have many grey hairs, but we are not greenhorns either.Just old enough to understand how the world works and young enough to still hope to bring about a change. We offer a wide variety of services, as we strive to be the one-stop solution for all the nurture your business needs to be The Brand. You dream it & we will make it true! What we offer is not just a brochure or a web layout, it runs much deeper.We offer a wide variety of services, as we strive to be the one-stop solution for all the nurture your business needs to be The Brand. We believe in the idea of responsibility. So we take responsibility for our client’s business, and are always thinking about little and big ways to increase the business of our clients. In the market today, you might wonder why us, Well , That is not because we are big, But because we can make it big for you,We Plug in full effort to make it large and perfect in every possible way so that it will create itâ€™s own identity & the market will be yours for the rest. I got quality service, quality support and quality relationship at 1to9 solution that design, develop and manage our website since 2005. Thanks for best support…. Our Founder with Sourav Ganguly in a Brand Launching Event at Taj Bengal, Kolkata. Our Founder with Mahi at Momentum Jharkhand - Ranchi. Our Founder with Sri. L.R.Shukla (Minister of State - Sports & Youth Affairs, Govt of W.B) at Kolkata. Our Founder with His Excellency Mr. Pranab Mukherjee (Ex President of India) & Mr. Ashok Gutgutia (VC & MD - Burnpur Cement Ltd) at President House, New Delhi. Our Founder with Mr. Raghubar Das, Hon'ble Chief Minister of Jharkhand at Ranchi. Our Founder with Sourav Ganguly during a Brand Ambassador Endorsement at his residence, Behala. Our Founder with The Tiger Shroff during Brand Ambassador Endorsement at Mehboob Studio, Mumbai. Our Founder with famous Photographer Daboo Ratnani for Brand Photoshoot at Starbucks, Mumbai. Our Founder with ABP News Anchor Mr. Sumit Awasthi & Mr. Suuraj Guptaa (Director - TUFCON) at ABP News Event at New Delhi. Our Founder with Mr. Subrata Mukherjee Minister in Charge (Govt. of W.B) at Bengal Global Business Summit at Kolkata. Our Founder with Mr. Gourab Gogoi (MP- Assam) at Guwahati. 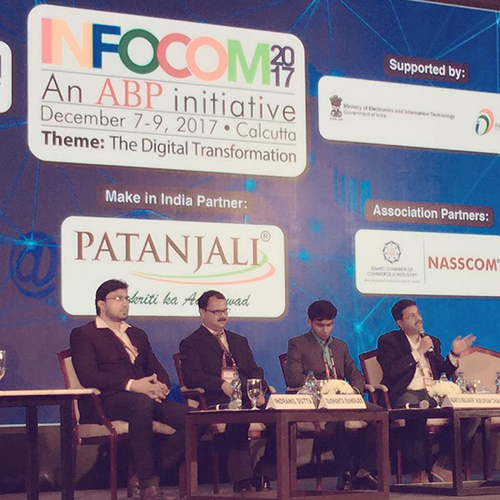 Our Founder with Mr. Bratya Basu (Minister in Charge - IT & Ecommerce, Govt. of W.B) at Kolkata. Our Founder with Bhojpuri Superstar Ravi Kishan at Patna, during a Brand Ambassador Endorsement. 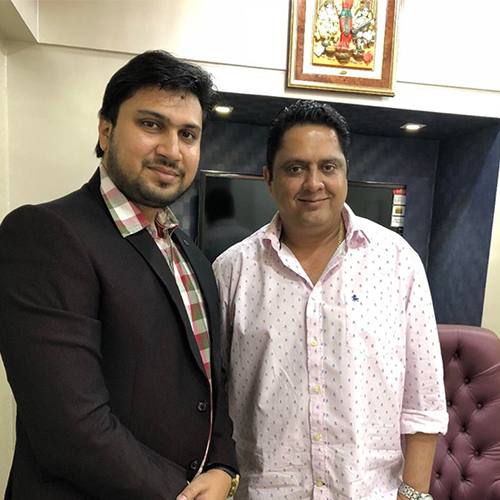 Our Founder with Mr. Sanjay B Jumaani, the world famous Numerologist at Mumbai.